The start of the program is on Monday afternoon, June 2 with plenary sessions followed by several parallel tracks. The program concludes on Friday afternoon, June 6, 2014. The conference is organised by the local and (inter)national Tipp2014 committees. In and around this conference, filled with interesting physics in our field, a number of social events is organized to stimulate interaction between you as participants. These events are organized to make new friends, build your network, challenge colleagues and solve problems encountered in your own research all at the same time! Be prepared to participate in lively discussions, build actual bridges in a workshop and solve fun problems! 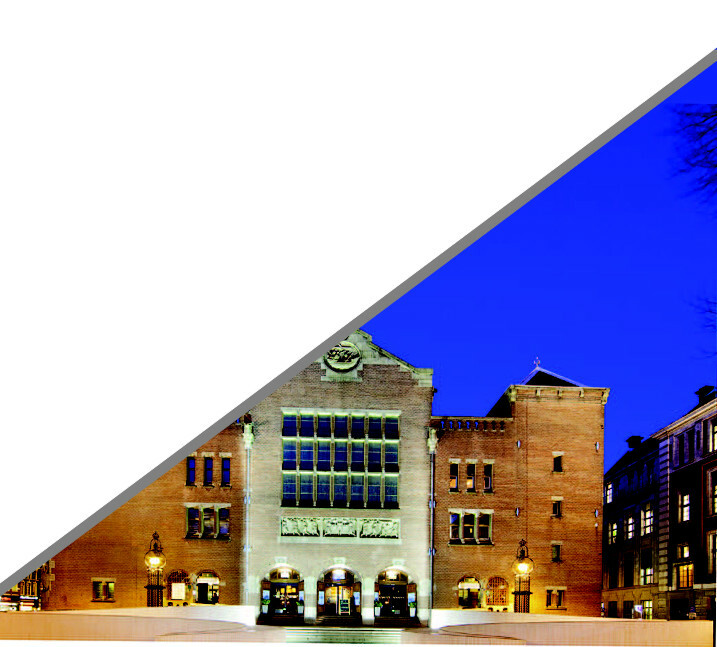 During the day, there are plenty of activities organized in the conference building, the Beurs van Berlage. However, before we forget: Welcome to the City of Amsterdam! As the conference is held in the most central part of this beautiful city, it would be a pity not to take the opportunity to explore what it has to offer. So why not dive together with us into the heart of Amsterdam, participating in various activities in the evenings in historical buildings and neighbourhoods, while getting to know one another in an informal way? On Monday evening there will be a welcome drink after which you have time to settle in. On Tuesday and Wednesday we organize evening events throughout the central neighbourhood of Amsterdam, where, for example, you will learn about the city's history and maybe even add a new chapter to this history yourself? On Thursday, the conference dinner is organized at the top floor of the 128-year-old Heineken brewery building housing the Heineken Experience (limited tickets available: 80€ per person for participants and 105€ for accompanying persons). Top floor, at that place, means you'll have a great view while enjoying food and drinks! A layout of plenary and parallel sessions has been made, see the TIPP 2014 Agenda Server on the CERN Indico system. From there, click on Time-Table for details of the daily program. On mobile phones use the special App from Conference4me or the mobile version of Indico. Speakers will be able to find out exactly which session your talk is assigned this way and should eventually upload their talk using the Indico system (see How to upload a talk). To locate the room for each meeting, please take a look at the floor plan of de Beurs van Berlage. For the best presentations by young PhD presenters 3 prizes (750/500/250 €) will be awarded, sponsored by NIM Elsevier. 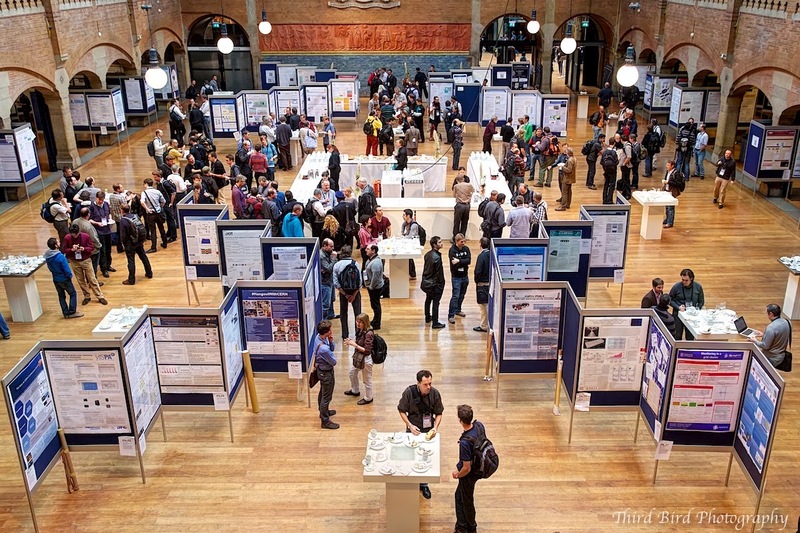 Two special poster sessions are scheduled and 3 prizes for best posters awarded (750/500/250 €), sponsored by PANalytical. The presenter of a poster must register as conference participant and must be one of the (co)authors of the contribution. Contributions of which the presenter is not a registered participant will be cancelled. We require this to ensure there are no orphan posters, without anyone in attendance to discuss the work presented. Poster boards provided accommodate ISO 216 A0 posters in portrait orientation (841 by 1189 millimeters). Ensure your poster fits within this area! Please bring the poster with you on Monday. Posters cannot be printed at the venue, but at local printing service shops (closed on Sundays) this should be possible. Abstract submission was possible from 1-Nov-2013 via the Indico page (max. 250 words and at maximum 2 tracks indicated) with a (lightweight) CERN-account. The deadline for submission was 28-Feb-2014. Acceptance decisions have been made public on 20-Mar-2014. A Tipp2014 Program Book (Abstract Book) will be made available as PDF file. See also the conference App Conference4Me on the App store and the Indico pages. Conference proceedings are published in Proceedings of Science, the open access online journal organized by SISSA, the International School for Advanced Studies based in Trieste. The proceedings will be peer-reviewed. The Organizing Committee will oversee the refereeing process.The page length limits are 10 pages (plenary talks and overview talks at parallel sessions), 8 pages (standard parallel talks) and 4 pages (posters). Papers should be submitted within 3 weeks after the end of the conference: the deadline is June 27. The procedure for submission and the required style-file is described on http://pos.sissa.it/POSauthors.html. Templates for Tipp2014 are available now and have been sent to authors. See also the PoS information.